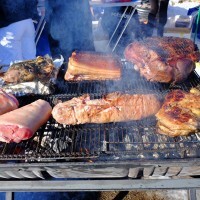 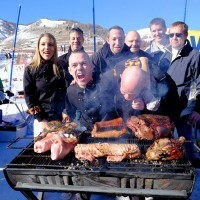 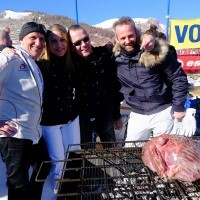 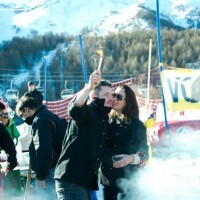 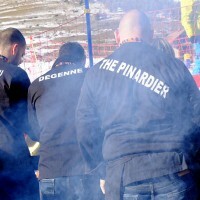 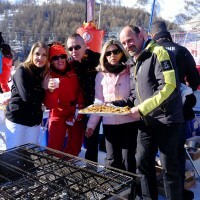 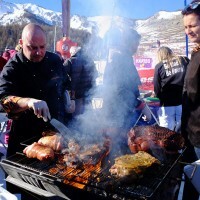 Chefs au Sommet d’Auron put on the Toques Brûlées’ dress to offer skiers a memorable giant barbecue at the feet of slopes. 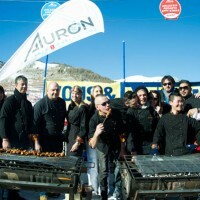 The Chefs au Sommet d’Auron, under the apron of the Toques Brûlées, joyfully driven by David Faure, the chef of L’Aphrodite in Nice, offered more than three hours of gourmand happiness to Auron skiers under a bright sunshine, animating a giant gourmet barbecue at the start of the ski slopes. 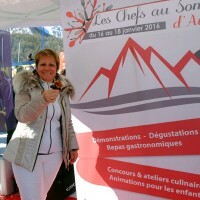 Good food and conviviality leave extraordinary memories and the moments spent tasting the many specialties prepared by the generous truculent cheffes and chefs from the Toques Brûlées have left a long-lasting impression to mark the 5th anniversary of the Chefs au Sommet d’Auron. 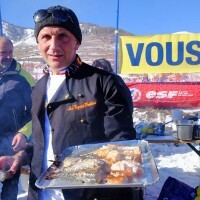 At the feet of the slopes, several grills lined up on 10 meters of snow (which quickly melted under heat of the barbecues) and were roasting an incredible number – and virtually inexhaustible – of specialties of meat (deer, pig, boar…), fish (salmon, bass, bream, sardines…), some sausages and even… fruits: bananas and tangerines from Corsica. 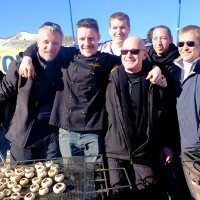 The grills were covered with knuckles of pork, various game cuisseaux, skewers, plump sea bream, spare ribs, salmon lozenges, marinated and lovingly cooked by the joyful and spectacular brigade of Toques Brûlées and its “chef” David Faure. 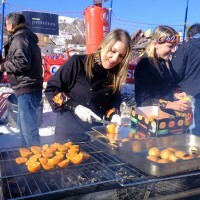 The barbecue of Toques Brûlées was not just a family barbecue. 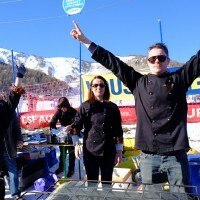 Each chef proposed an elaborate and refined recipe. 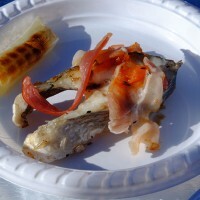 Squid with Pesto, mountain Leek with Truffle oil accompanying a steak of Sea Bream and crushed Tomato and Bacon, traditional Japanese skewered Chicken with Yaktori, pavé of Deer, Loup with Currants, and much more refined specialties have delighted the taste buds of a public tantalized by the fragrant smoke that were floating on the trail, eager to enjoy the wonders offered by the Chefs au Sommet d’Auron. 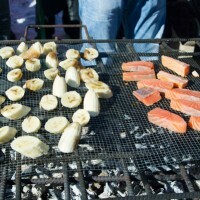 The desserts included barbecued Bananas with grapes marinated in Rum, Spices accompanied by a cream of Tonka and Green Citrus and Shiso shoots as well as roasted Tangerines from Corsica covered with Maple Syrup and Rum marinated Grapes. 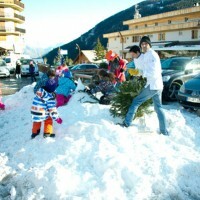 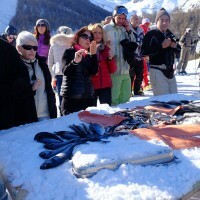 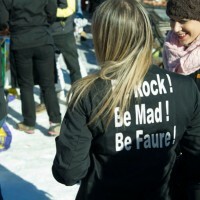 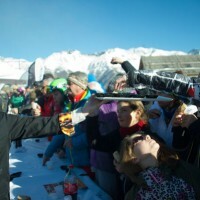 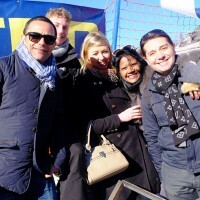 The crowd preferred to remain in front of the buffet rather than rushing down the slopes. 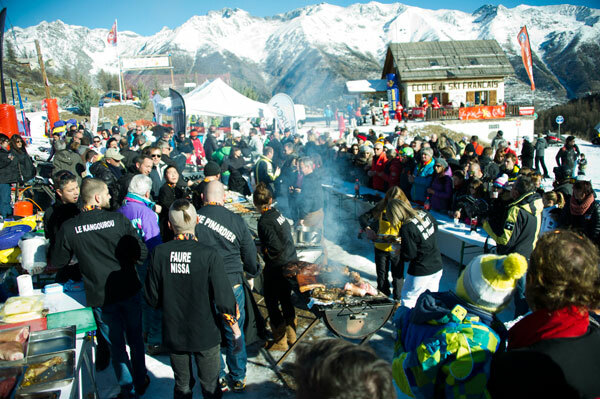 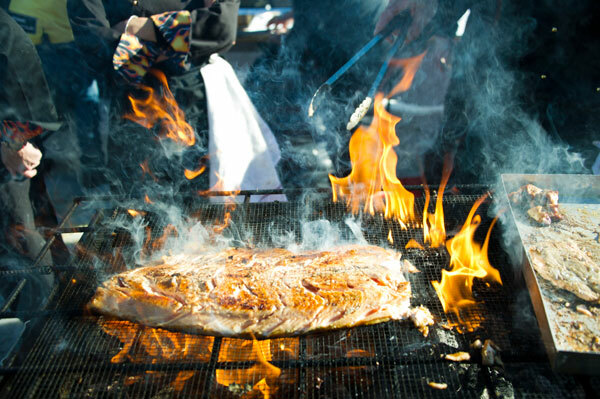 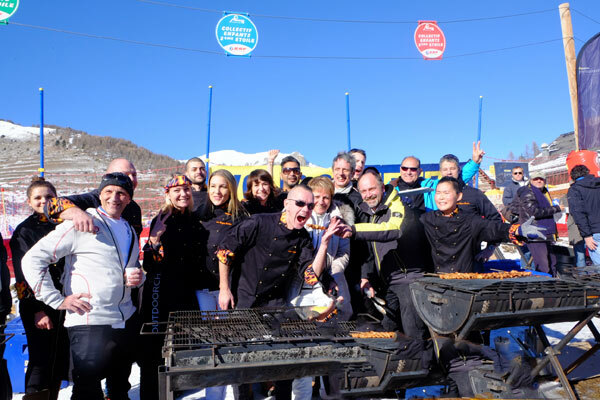 Such a three-hour giant barbecue was made possible thanks to generous partners of Chefs au Sommet d’Auron like their main sponsor, the company Metro. 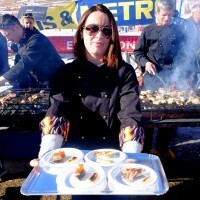 Metro is the chefs’ “food supermarket”. 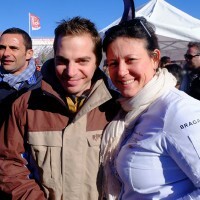 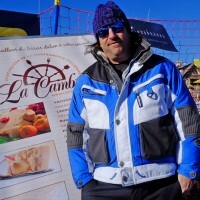 La Cambuse was also a partner with its transalpine products. 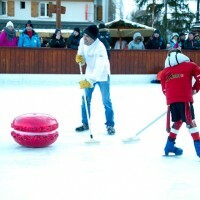 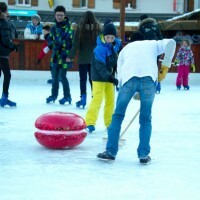 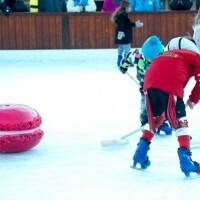 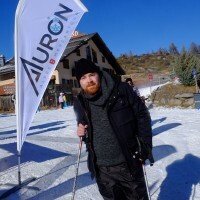 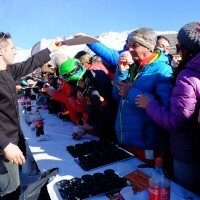 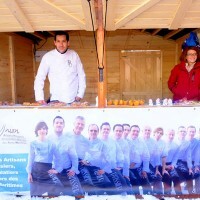 Later in the afternoon, l’Union des Pâtissiers, Chocolatiers, Glaciers des Alpes Maritimes offered at Auron’s ice ring pastry workshops, building a snow cake and a game of curling with giant macaroons while warm chocolate and pastries were offered to the public. 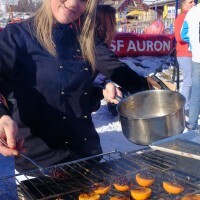 Within the sumptuous decor of the Mercantour pristine mountains, the Chefs au Sommet d’Auron celebrate gastronomy in Auron, Saint Etienne de Tinée and Saint Dalmas Le Selvage. 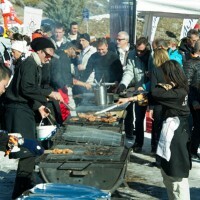 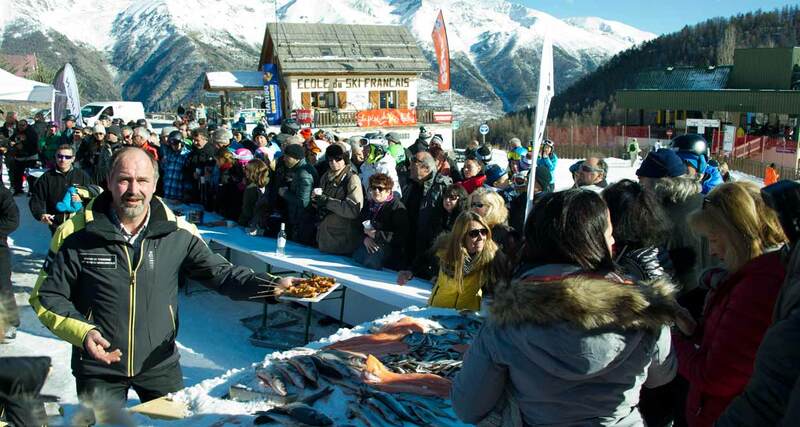 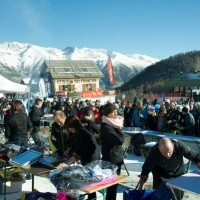 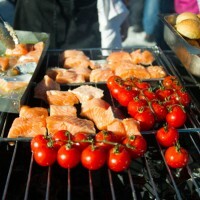 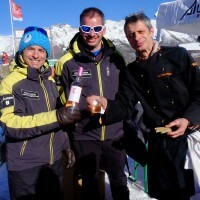 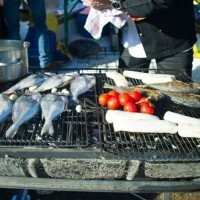 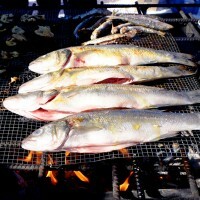 Since five years, the Festival of Mountain Gastronomy is offering gastronomic meals at unique affordable price in the restaurants of the resort and numerous culinary events. 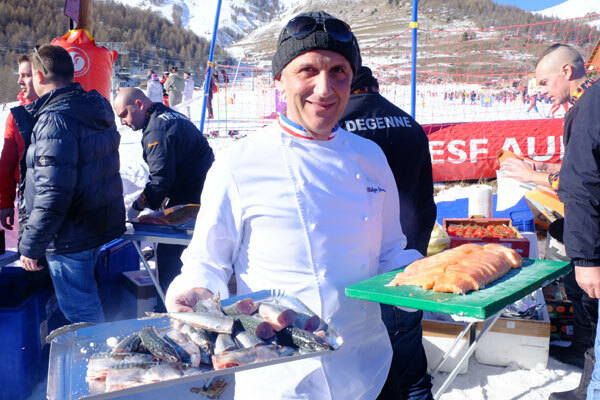 A team of duos of talented chefs and pastry chefs from the French Riviera offers a true moment of sharing of culinary delights and conviviality with vacationers. 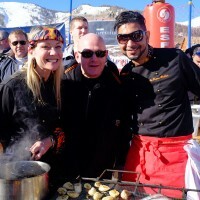 Toques Brûlées is an association of starred and and renowned chefs on the French Riviera performing culinary shows that are real gourmet adventures. 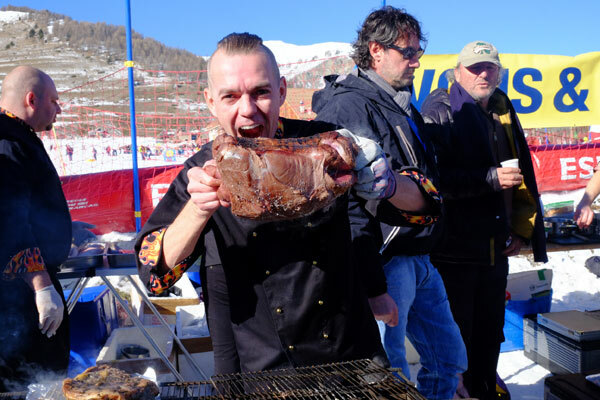 In their modernity, the truculent chefs advocate creativity, quality and conviviality. 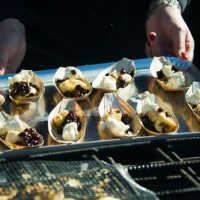 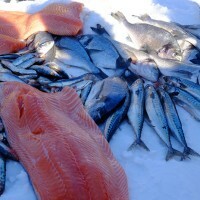 They love to revisit traditional or local cuisine dishes in a modern and innovative cuisine. 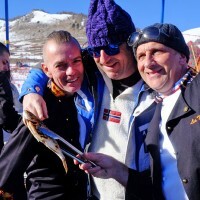 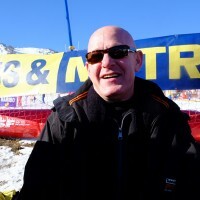 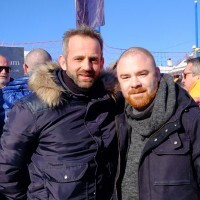 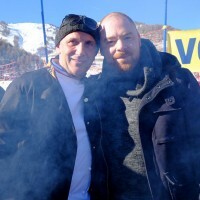 The association Toques Brûlées was created in 2007 and its president is David Faure.